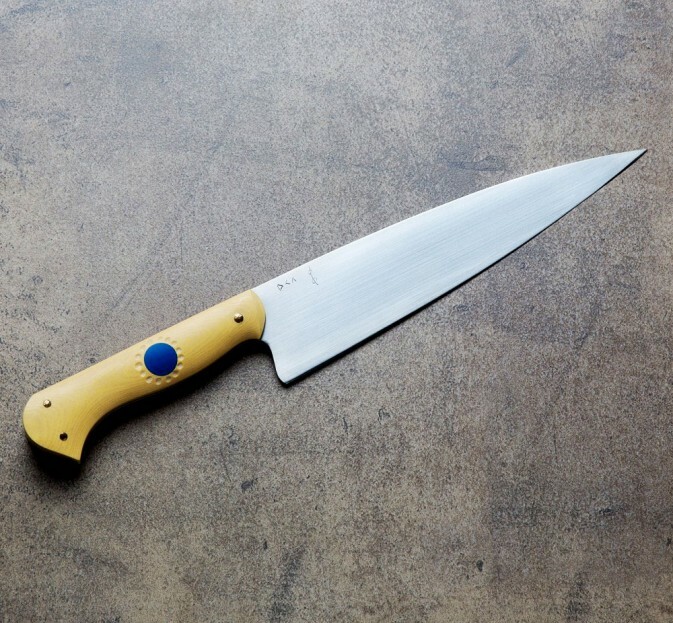 With the antique and rare blue ivorite micarta handle from Don Andrade that we know and love from his past work, this Classic European French Chef knife in CPM 154 stainless steel is as beautiful an example of Don's eye for design and function as you can find. 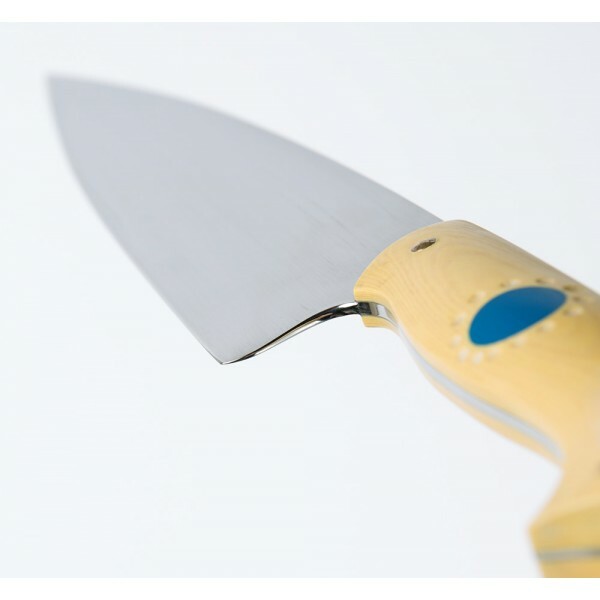 The hand rubbed blade measures 220mm by 48mm high at the heel. 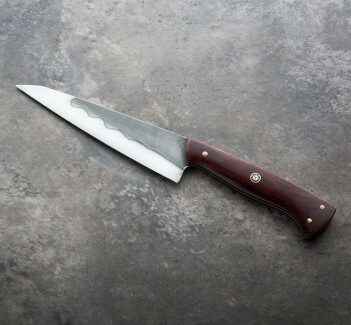 Balancing just at the top of the handle the knife weighs 7.6 oz (216 g) and feels wonderful in the hand. Detail carving and peened brass pins complete the handle and a cloth-covered protective case is included. A large chef knife from Don Andrade with a 220mm blade in hand-rubbed stainless steel makes for an excellent all-day user in your home kitchen or on the job. 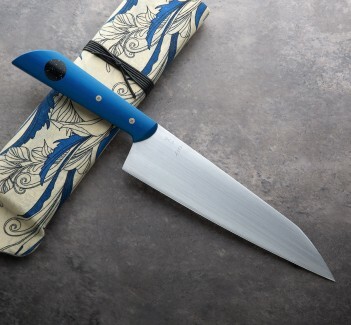 The contoured European style handle fits like a glove, which, as Don has such a knack for, combines seamlessly with his rendition of a French style blade and his recognizable aesthetic. 220mm (8.66") blade, 13.5" overall. Weight: 7.6 oz (216 g). Blade: CPM 154 stainless steel, 61-62 HRC. 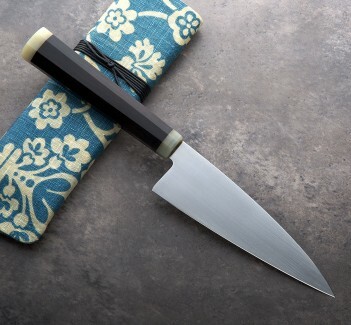 Antique ivory micarta handle, blue ivorite micarta inlay, peened brass pins.